Combine garlic, herbs, salt, zest, sugar, yeast and flour in a large bowl. Add liquids till a stiff dough forms. Leave it to rise until double it size. Knock it down, roll it out into circles. 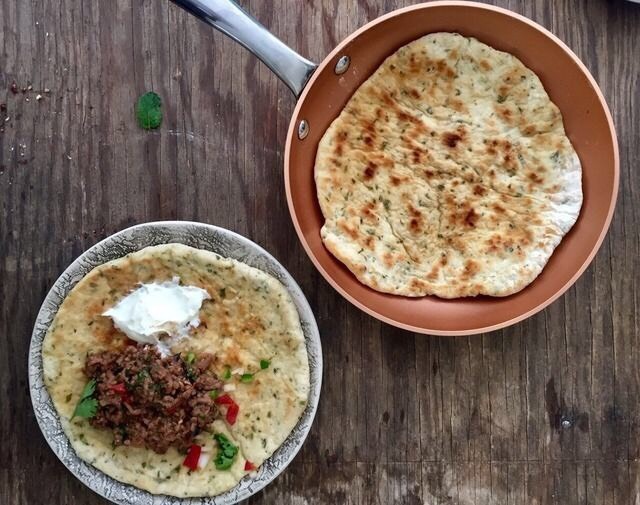 On a Hot griddle pan or braai or pizza oven, cook the naan bread. Cook till golden brown on each side and cooked through. Serve warm with any desired topping.